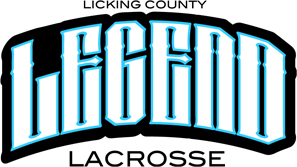 Newark, Ohio (May 2, 2011) - Licking County Lacrosse is pleased to announce the formation of a new High School lacrosse team called the Licking County Legend. Licking County Legend Lacrosse is a boys high school lacrosse team being formed to compete in the club division of the Ohio High School Lacrosse Association (OHSLA) beginning in the 2012 Spring season. Legend Lacrosse will be a select team of 20 -25 high school boys currently attending school in and around Licking County. The team will be coached by experienced lacrosse coaches including Denison University students. There is an informative parents and players meeting scheduled for all current 8th through 11th grade boys, interested in playing lacrosse, who attend school in or around Licking County (excluding Granville and Johnstown which already have lacrosse programs). The meeting will take place at the Licking County YMCA football/lacrosse field on Friday, May 13th at 7 pm. We are looking for students and athletes from sports like hockey, football, soccer and basketball that are interested in playing the fastest game on two feet. No playing experience is necessary. or call Patrick Cherubini at 740-763-1005.